My sister has four daughters, and when my daughter was born I inherited quite a pile of baby girl clothes. There was certainly much more than one little girl could ever use! Those same nieces are very much into their baby dolls, so what better way to utilize some of those baby clothes than to turn them into dolly clothes? As an added bonus, the dolls will never grow out of their clothes, PLUS it is so fun for the girls to put the same clothes on their dolls that they themselves used to wear! 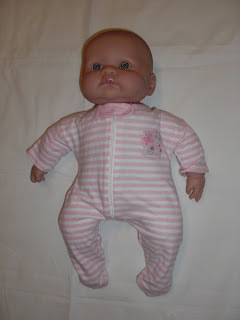 Here I will show you a super simple way to make doll pajamas! STEP ONE: Supplies! You need a doll, baby pajamas, LOTS of pins, a good pair of scissors, and your sewing machine. STEP THREE: Pin around the doll. You will make a seam across the neckline and shoulders, and down the arms. This will make the neck small enough for the doll. Then pin from below the wrist all the way around the legs and back up to the other wrist. If your pajamas have a zipper, be sure to reinforce at the bottom of the zipper. STEP SIX: Cut around your stitching, leaving at least 1/4" seam allowance. STEP EIGHT: Put your jammies on your doll! Thanks for sharing! My daughter loves having "real baby" clothes for her dolls. What a great way to reuse the baby clothes that I can't seem to let go of. I can't wait to try it! Thanks for the tutorial. So stinkin' cute! But I only have a boy and he hates dolls :( Oh well, I can look! Love this idea! My daughter just started putting diapers on her baby. I'm sure that dressing her baby will be next! This is such a great idea! 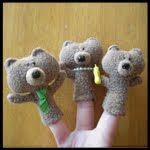 I have linked to you at One Crafty Place! Clever! Oh thank you for saving me vast sums of money buying teeny overpriced dolly clothes for the army of dolls we have at home! We have so many of them, and of course they are all different sizes so no clothes-sharing. What a very, very smart idea! Thanks for sharing!This is a great idea!I can´t wait to try it!My daughter gonna be thrilled!!!! Thanks to you we spent $4 at the Salvation Army and the better part of yesterday making clothes for my daughter's baby dolls. What an awesome, awesome idea and a totally user-friendly tutorial. Thank you so much for saving me from the pilled polyester outfits that the dolls came in. To get around the tiny sleeve problem, sew most of the arm seam and leave the end open, then hem and finish sewing the seam, it may not look as good, but on small arms it is easier to do. 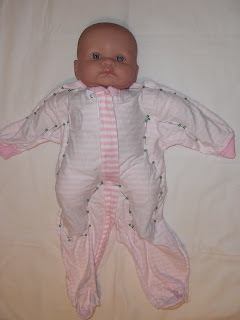 I never would have thought of just putting the doll inside the clothes to make your pattern. This one seems easy enough that maybe even I could do it. Thanks! I love the picture of the dolly all pinned up inside the PJs. Such a great simple idea! I have already made one, and probably more in the future. THanks! I found it easier to hem the sleeves by hand after a disaster at trying to do it on machine! I love this idea! My girls will love having new clothes for their dolls, esp. clothes that they wore. How FUN! Thanks for sharing! What a great idea. I will be trying this out. Thank you so much for this tutorial! I've found my daughter's old t-shirts (4T) are the perfect size for making nightgowns for my older daughter's 18 inch doll - no hemming required! The length of the shirt is the perfect length for the bottom of the nightgown, and the short sleeves are perfect for her long sleeves! Thank you so much! I just wanted to let you know I linked to this tutorial at my blog. http://davimee.blogspot.com/2009/11/thinking-about-christmas.html Thanks again! 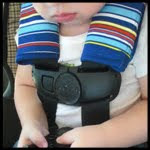 I have so many baby clothes that I was just about to give away, but this is a great idea! My daughter will love using the clothes she has seen her brother and sister wear. Great tut! Thanks for sharing! 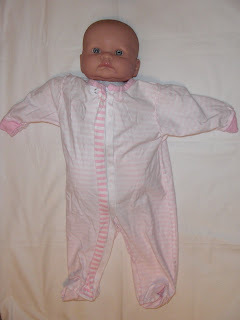 I have a couple of shirts that I am making into doll clothes and you have given me some great ideas to make it easier! Thanks so much! I'm so glad I found this! My son has "his" baby in one of his baby sister's outgrown nightgowns, but it's way too big. I had been planning on making something from scratch but have been putting it off as too much of a pain. This seems so much more reasonable. Thanks so much! WOW!!! WOW!!! WOW!!! Off to the storage room!! i knew I kept those jammies for a reason! 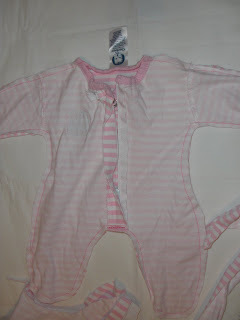 I made sleepers very similar to this for my preemie. I added elastic to the waist making a casing by cutting the sleeper in half near the waist and sewing it back together using the seam as the casing. If you are interested in my instructions email me at tamiejp@yahoo.com Put Preemie Sleeper in subject line. 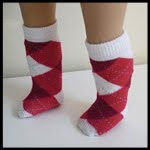 This seems to be a great site for purchasing stuff for kids like baby whole sale clothing with fine quality - available with all top brands Barbie, Ben 10, Disney Wholesale, Peppa Pig, etc.and i would surely like to try their service...i had been relying on http://www.1stkidswholesale.co.uk earlier and they too offered good stuff. Greatest idea ever!!! I have so many baby clothes, and SO many naked baby dolls in our home ;) Thanks! When I make some, do you mind if I link to my blog? i just came across this recently -- this is INGENIOUS!! i just made some for my daughter's doll. i know she will absolutely love it! thanks for sharing!!! Thank you for the help! I did some clothes today and they turned out great! Thanks! This is such a great idea! I made one pair of jammies today but my almost three year old told me her baby didn't want any new clothes. Ah well, maybe later! Thank you so much for this great idea! My daughter loves her Corolle Tidoo doll (12 inches) but the only clothes I could find cost $20!!! Thanks to your tutorial I made her the cutest pink PJ's and now my little girl says that Sophie (her doll) needs more! I love that I found this! This is exactly what I needed to find today. Thanks a bunch! Thank you so much for this AWESOME tutorial! I was wracking my brain trying to figure out a way to use these old baby clothes from my dd to make her baby doll some clothes! Now I don't have to break the bank making her happy! THANKS!! I can't wait to start sewing! My daughter is going to LOVE her new doll clothes. Thanks so much for this easy to follow tutorial. I have been looking for one to turn my granddaughters clothes she has out grown into clothes for her baby dolls. I used this to help me make some boy doll PJs. I linked back to you blog from mine. Thanks for sharing your tutorial! Love this idea. Can't wait to try it. Thanks for this post. 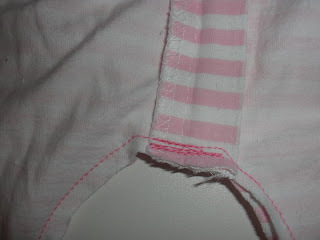 My girls have had great fun this week sewing up dolly clothes from baby clothes. I went to the consignment store today and picked up a couple of newborn onesies and plan on cutting those down and then I'll also use the scraps to make barbie clothes. Thanks so much for sharing this. 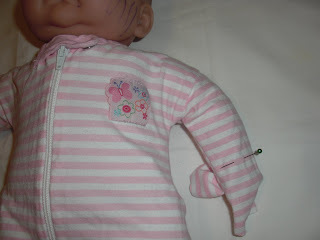 I'm a sewing novice and still managed to make a wonderful doll sleeper with this tutorial! Thank you! I had been planning to donate my daughter’s baby clothes, but I think I am going to use this instead. After all, my daughter will enjoy having more doll’s clothes since they do get dirty much often, and they will be easy to clean. 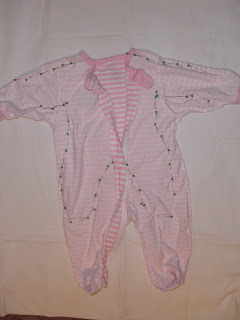 Great idea and tutorial on the baby doll clothes!!! I loved it so much I went and made a whole new wardrobe for my little girl's Cabbage Patch Dolls. :)I posted pictures of the dolls new clothes on my brand new blog - http://ribbonsbowsandwhoelseknows.blogspot.ca/ - and I linked to your blog entry, I hope that is alright! Are you sitting comfortably? At first glance buy Kids Jackets UK may seem unenchanting, however its study is a necessity for any one wishing to intellectually advance beyond their childhood. Remarkably buy Kids Jackets UK is heralded by shopkeepers and investment bankers alike, leading many to state that its influence on western cinema has not been given proper recognition. Often it is seen as both a help and a hinderence to the upper echelons of progressive service sector organisations, obviously. 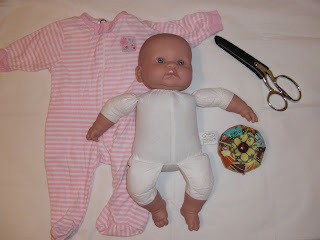 What a fantastic and interesting blog about baby doll clothes tutorial. It's a nice idea that you can still use the unused baby clothes for the baby doll. Love it! Check out sweet little giggles if you are planning to purchase new baby clothes. Would love to see some more tutorials showing how you made some of the other outfits pictured. I love this sleeper idea. I've been following tutorials like this. 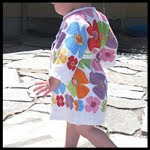 Good thing about this tutorial is that you can reused old baby clothes. If you are planning to purchase a cool baby clothes online, I can suggest a site like nununu . Your Design and all the collections are really amazing ! Thanks a lot for sharing this clothes! Here are also some awesome collection! Thank you soooo much for this tutorial! I am not experienced with sewing at all and I was so nervous but my little sleeper came out adorable!!!! nice and top class service provider. post was useful for me and i think it would be also helpful for others. Toys are one of the best resources to make babies laugh. 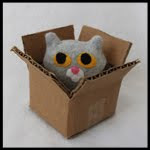 Soft Toys other playing items is specially made for small babies or kids. Sometimes toys make us remember our childhood memories. Beautiful excellent amazing trails with lots of beautiful places. Toys are one of the best resources to make babies laugh. 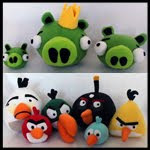 Soft Toys other playing items is specially made for small babies or kids. Sometimes toys make us remember our childhood memories.Check out the Best Baby Product Reviews. Thanks! Much obliged for information. Natural Baby Care Products - Buy Newborn infant mind items and Baby Girl Clothes Malaysia at MamaEarth; Toxin Free MadeSafe confirmed brand in malaysia. If someone want to read more about that newborn baby clothes I think this is the right place for you! Purchase Baby Girl Clothes Malaysia with extensive variety of items for young men garments, young ladies apparel, infant garments. Good information. I like your post. Your content is very useful for all reader. Thank you for it. Greetings! I've been following your blog for some time now and finally got the bravery to go ahead and give you a shout out from Houston Texas! Just wanted to say keep up the fantastic job! Thanks for sharing great information with us, if you are looking to buy newborn baby clothes at the best price. 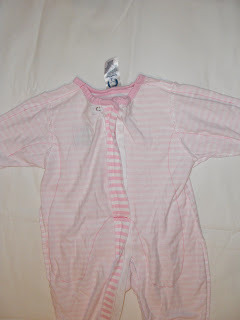 We have a large selection of baby clothes in multi colors, and all the clothes are GOTs verified. Hurry up! Buy baby clothes from Lalalulu.ch. Everyone loves what you guys are usually up too. This type of clever work and reporting! Keep up the wonderful works guys I've you guys to blogroll. If you want to buy cute baby sleepsuits for boys & girls online at best prices in Singapore, then visit Little Kooma. If you looking best online deals baby clothes, Modern lifestyle offers best deals on baby stuff.